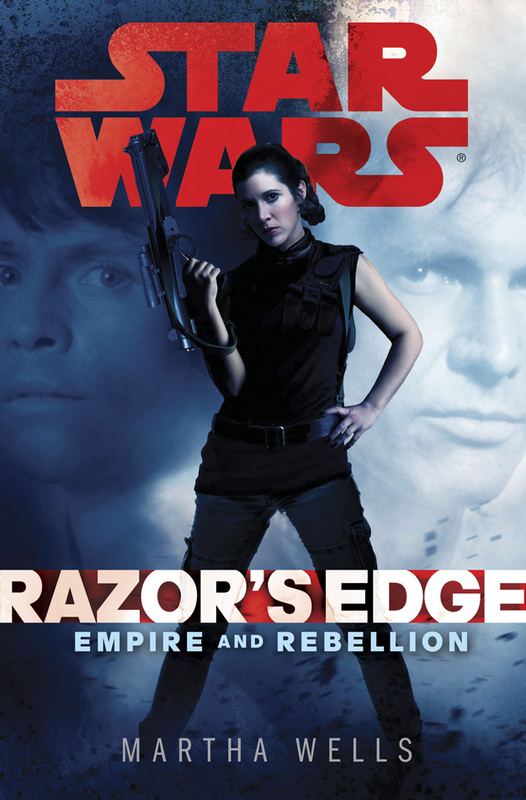 The Star Wars Empire and Rebellion series of books from Del Rey is kicking off with Razor's Edge by Martha Wells. The purpose of the new series is to jump back to the classic era, during the original trilogy and tell stories about characters we hold close to our fandom hearts. Each of the three books in Empire and Rebellion will focus on one of the big three - Han, Luke, and Leia. 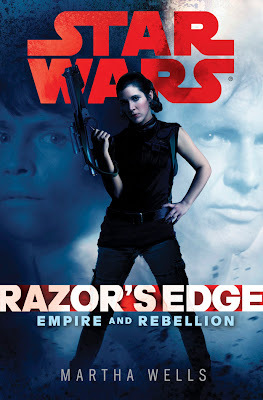 Razor's Edge is Leia's book, and I was excited to get my hands on it. I asked Martha a few questions about Star Wars and writing such an amazing character as Princess Leia. Check out her responses below! GwC: What is your first memory involving Star Wars? Martha Wells: Finding the novelization in a bookstore, sometime in the summer of 1977 when I was 13. I think the book was released before the movie, but my parents didn't really like to take me to movies so reading the book was my first experience with Star Wars. I finally got to see the movie itself around nine times, but that was later in the summer. GwC: Leia is a wonderful role model but also one of few women in the original trilogy. How does that fact change the way you approaching writing her or does it? Wells: I didn't really change how I wrote her, but I did want to add more women characters, and for them to have big parts in the book. I wanted Leia to face a female antagonist, and have female allies, too. GwC: Leia has often been shown as the leader and diplomat, but what other sides of her personality did you make it a point to show in Razor's Edge? Wells: I always liked the fact that her sense of humor was on the sarcastic side, like Han's, so I wanted to show that. GwC: What was the most fun part of developing Leia's story for Razor's Edge? Wells: I think it was fitting the story I wanted to to tell into the Star Wars universe, and figuring out all the details. Creating the settings is always one of my favorite parts of writing a book. And also writing the original characters interacting with Leia, Han, and the others. Thanks to Martha and Del Rey for making my blog a stop on the Razor's Edge tour! Be sure to like Star Wars Books on Facebook to keep up with excerpts, live chats, and more. Come back later today for a full review of the book. Many Individual likes to update these types of Top Attitude Shayari in Hindi when their partner started ignoring or showing attitude in love or friendship relation. It's Almost Time For Keen Halloween!